Mon dieu qu'il est beau, coloré, vitaminé, bref tout ce que j'aime!! Hi Peeps, how is everyones day? mine is fine! It is composed with fabulous Jilibean Soup papers "Chicken Noodles"
...et puis tes cartes sont vraiment terribles! C'est bien, tu n'es pas du tout accro aux kits, toi! J'admire ta page féminine, parce que, comme tu dis, avec des cochons, spa gagné!!!! Oh my word did it make me smile, what great photos and paired up with such fab background paper! Love the people and the little pigs are cute too. 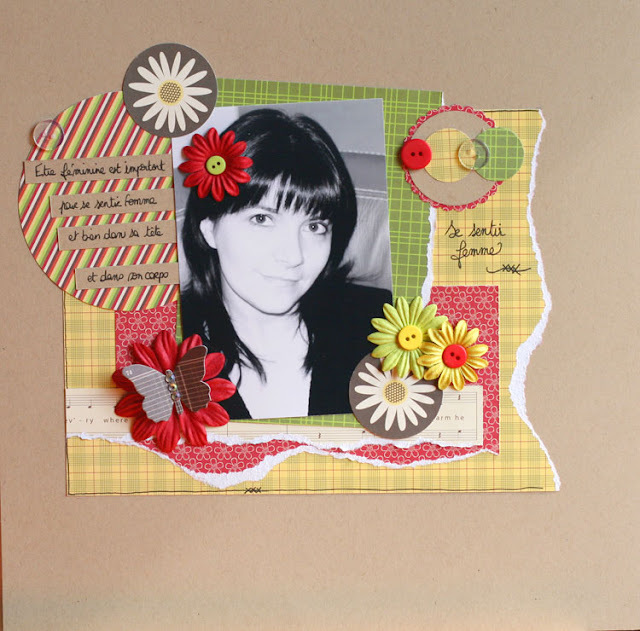 What fun papers and great layouts! Love how you put a flower in your hair. 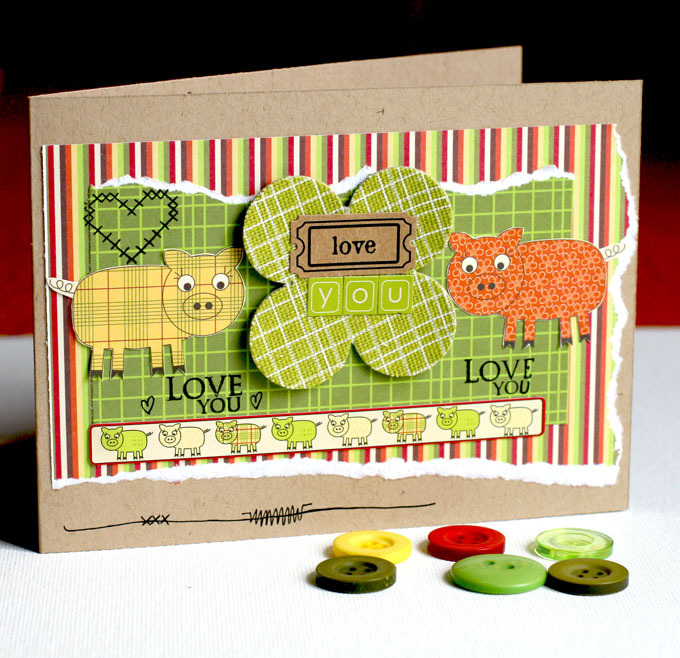 Adorable cards--wonderful bright colors and cute little pigs! Happy Week!! Marinette, tu portes très bien la fleur! Tes pages sont très-très belles. Ce papier cochon est top... j'adore la carte Love You! what a lovely photo of you! 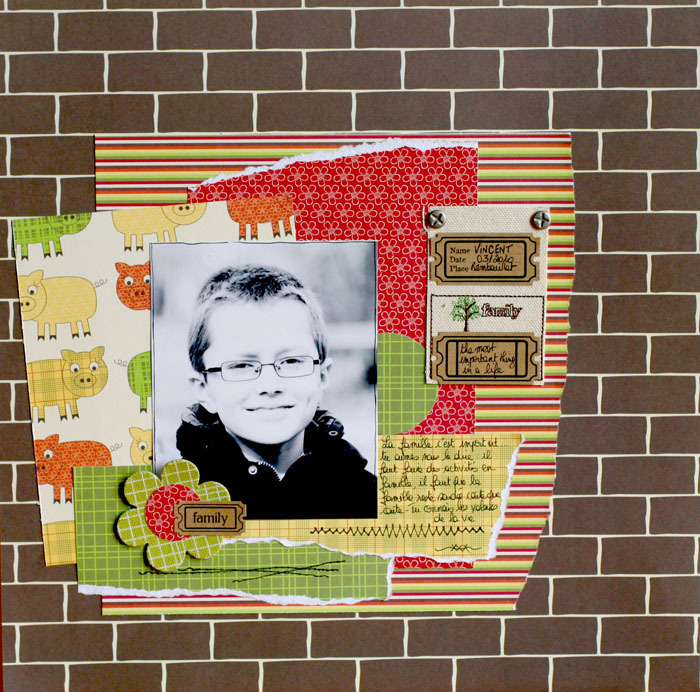 in Vincent's layout, i really love the fabric tag with the tickets and journaling and cool screw attachments - great for a boy page! i've got those same papers from another kit and was also wondering how to use the pigs - thanks for the inspiration! Nice job on all of them. 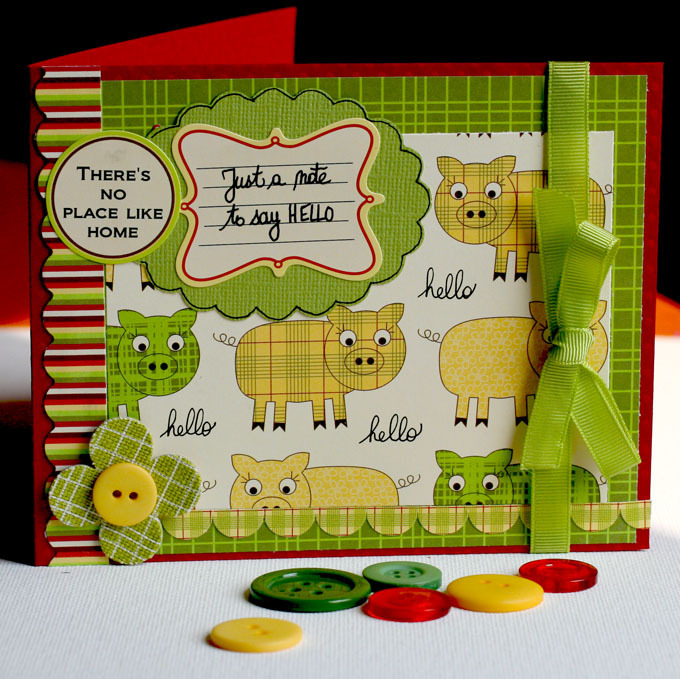 Those little piggy's are very cute! 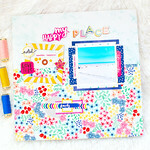 Gorgeous projects, sweetie. You did a wonderful job with the Scrapdeco kit.